GPS - Triangle lake, 200m el. GPS - Falls Rest Area, 215m el. 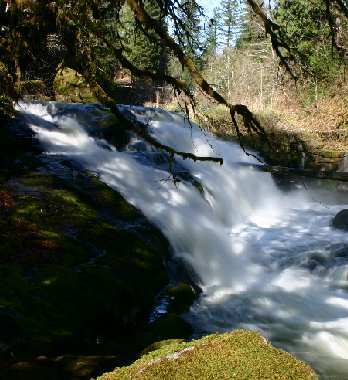 GPS - Lake Creek Falls, 200m el. 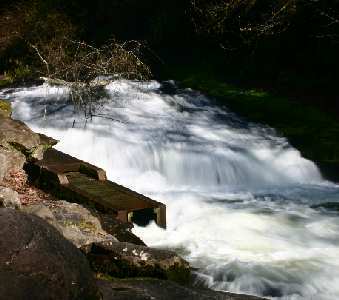 Lake Creek Falls is west of Junction City. 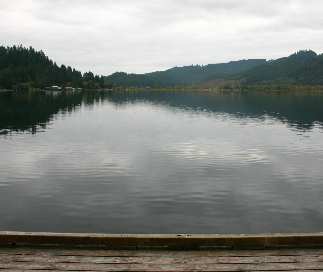 Camping available at Triangle Lake Park between mileposts 27 and 26.